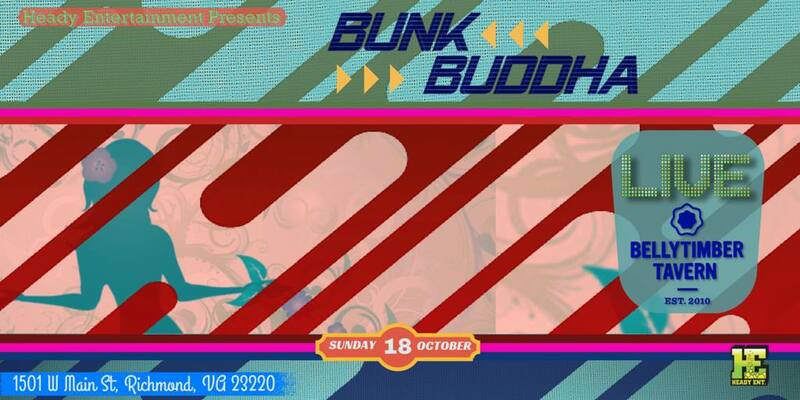 Heady Entertainment RVA is proud to present An Evening With Bunk Buddha at Bellytimber Tavern in Richmond, Virginia! The event will take place on Sunday, October 18 and will feature an intimate performance with the Baltimore natives. Check out Bunk Buddha‘s brand new EP below, and let’s get psyched for this incredible Sunday show! This entry was posted in Heady Entertainment and tagged Bass, Bunk Buddha, Concert, Heady Entertainment, Live Music, Never Miss A Sunday Show, Rage, Richmond, RVA, Sunday Phunday, VA, Virginia.